Dan and Sharon Williams have been married for 30 years, since the days when Dan first studied at Regent College in Vancouver. Sharon is a public health nurse in Richmond. They have three grown children, all still living on the west coast. Dan has a passion for equipping the saints for ministry, through teaching, modelling, and innovating in small groups and other strategic wineskins. Although important ministry lessons occurred early on in InterVarsity Christian Fellowship, Dan and Sharon have always been thoroughly committed to the church, the body of Christ. Their ministry as couple has been aimed at encouraging followers of Christ to enter fully into the enjoyment of the blessings of being saved, and thus to be set free to be part of a growing Kingdom both locally and around the world. 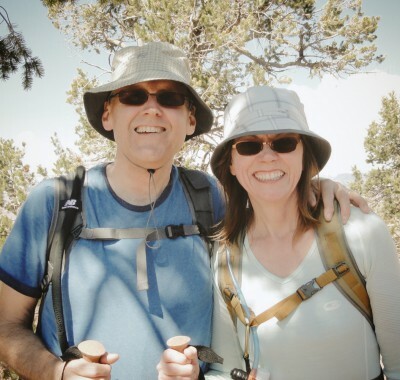 Dan loves books and films, and together with Sharon has developed a passion for travelling to desert areas such as Osoyoos and Arizona, and for long distance running. They combined their interest in staying active and their love of travel in a trip that involved hiking the Grand Canyon. Recently, Dan finally fulfilled a 30-year promise and took Sharon back to her family’s homeland, Ireland, where they visited relatives — who lived a couple blocks from C.S. Lewis’ boyhood home in Belfast. As of August 2012, Dan has been the associate pastor acting as lead in the English-speaking congregation (ESC), working closely with the elected ESC committee and alongside the whole staff team in shepherding a church united in prayer and mission. Joe grew up at VCEFC and have many wonderful childhood memories associated the church. He received his undergraduate degree in Archaeology at Simon Fraser University, and his M. Div. from ACTS Seminary at TWU. After a period of pastoring elsewhere, Joe returned with his wife Jeanie, and his two young boys, to serve at the church where he considers his spiritual home. Pastor Joe’s ministry focus and passion are in the area of the English Congregation’s Teen and College age group. Joe loves the great outdoors and enjoys kayaking, hiking and camping with his family. He has been a senior pastor in Vancouver for more than 20 years. Having been trained theologically at Evangel Theological College Hong Kong and after serving at Evangelical Free Church in Hong Kong for 7 years, he came to Vancouver for further studies. In 1989, he graduated from Regent College in Vancouver, then studied at Fuller Theological Seminary in the United States and at Jerusalem University College in Israel. He has been involved in various denominational, theological education and para-church ministries as advisor and on the board of directors for numerous years. Occasionally, he has led Israel study tours and taught courses about the Holy Land and the Holy Bible related to spiritual formation in several institutes in Vancouver and the States. Besides teaching and pastoring, he translated Simon Jenkins’ book Nelson’s 3-D Bible Map Book into Chinese. 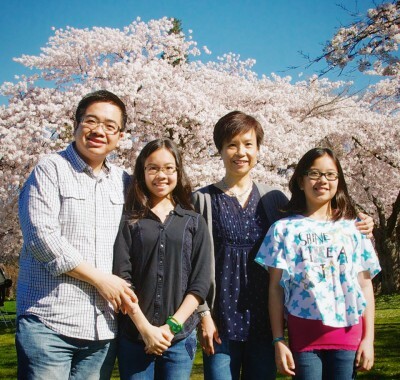 Pastor Chan’s wife Elaine graduated from Evangel Theological College in Hong Kong as well as Northwest Baptist Theological College (now ACTS Seminary) in Vancouver. She is an Early Childhood Educator. 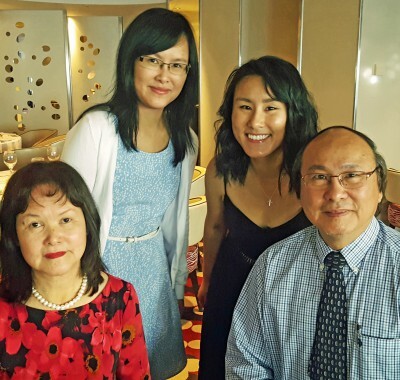 The eldest daughter, Dorothy, graduated from UBC and University of Alberta graduate school. She works in the field of administration. Gloria, the youngest daughter, graduated from UBC with honors and is a registered dietitian working in a hospital. The pastor’s family loves reading, music, healthy food, arts and travelling. Pastor Wai-Mui and her husband immigrated to here from Hong Kong. They have been in Vancouver for 20 years and have two teenage daughters. 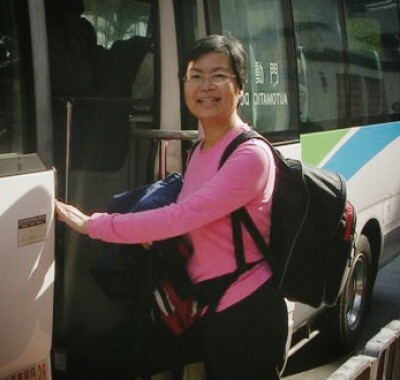 Pastor Wai-Mui graduated from Evangel Theological College (Bachelor of Theology), Hong Kong in 1986 and continued her studies at Regent College (Master of Divinity), Vancouver in 1994. Her favourite past times involve resting and reading — especially history. Her passion is to build up a people who have a heart for God, who love His Word, who seek Him through prayer, and desire to make Him known. Pastor Wai-Mui’s current ministry areas include serving with the Mandarin Ministry Team and looking after the Mandarin Congregation. She also serves in the ladies’ ministry, seniors’ ministry and the church’s Missions Department. Job joined our staff in 2013. He is a graduate of Ambrose Seminary Calgary, Alberta. 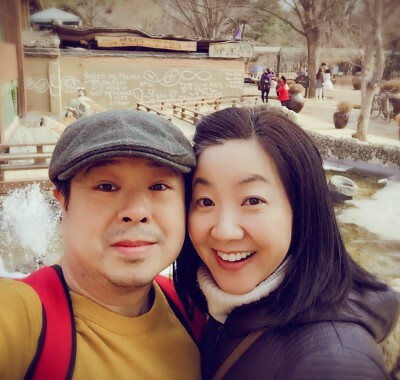 Job and Cindy were raised in Hong Kong and have been living in Calgary for over 20 years before moving to Vancouver in 2013. They have two lovely and cheerful daughters, Hannah and Abigail. Job is an assistant pastor focusing on Cantonese speaking youth and young adult ministries. He delights in reading books at a leisurely pace, fixing little things around the house, and sharing funny stories and jokes with the family.